Product information "FORTUNE - II - CD Jewelcase"
FOR FANS OF: Journey, Styx, Survivor, Foreigner, Asia. 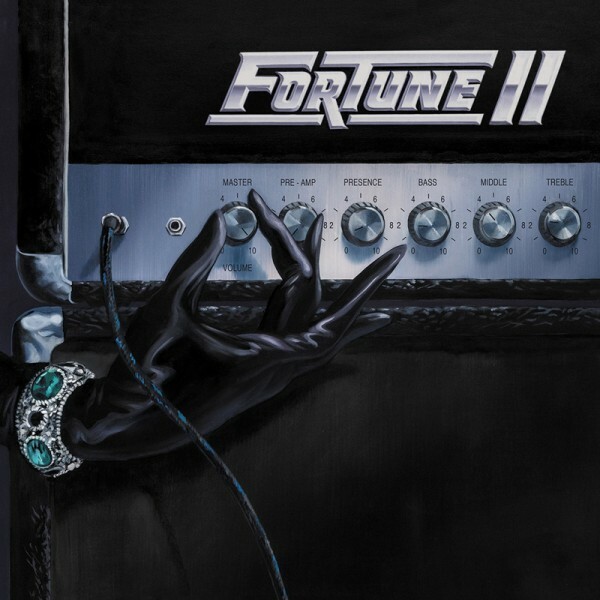 Cult melodic rock/AOR heroes Fortune are back with a new studio album, “II” on April 26, 2019. The seeds of Fortune were planted by brothers Richard and Mick Fortune, who came from a family of professional musicians. Their mother was a singer and their father a singer and bassist. Richard started playing the guitar when he was 16 and went on to play guitar and tour with Buddy Miles, Booker T & The MGs, and Spirit, while Mick started out as an accordion, keyboard, and trombone player before switching to drums. The brothers cut an album, "Fortune" for Warner Brothers in 1978, but by 1982 had totally revamped the group with a new key acquisition being the recruitment of Roger Scott Craig. A classically trained pianist from the age of 8, the Irish born keyboard player was known for a successful stint with the Scouse pop group Liverpool Express in the '70s. With a lineup rounded out by Larry 'L.A.' Greene, also of Top Gun soundtrack fame, on vocals, and Detroit studio and Elton John bassist Bob Birch, Fortune eventually released their self-titled debut album in 1985 to a warm reception, especially in Japan and Europe. Camel/MCA Records (the same label that had launched Night Ranger and Giuffria to stardom) released the debut and which is still highly regarded today by fans of the genre. For many fans, it is indeed considered one of the best, if not THE best AOR album of all-time. While this is of course very much open to debate, the reality is that Fortune’s album is one of those lost gems from yesteryear that has aged like fine wine while the years have passed. Shortly after that legendary self-titled album's release, Camel Records unexpectedly declared bankruptcy for undisclosed reasons and refused to give up the masters of the album, making an album re-release impossible until fairly recently. The band remained silent for years and while Larry Greene and Roger Scott Craig started working together with the band Harlan Cage (who released several albums in the second half of the 90’s and early 00’s), the Fortune brothers started the band back up again as a trio in 2006, until a proper band reunion happened in 2016 when the band performed at the Rockingham Music Festival in 2016 and then - thanks to the acclaim that followed that performance - in 2017 as well. These appearances ultimately led to discussions with Frontiers about a new studio album which promises to be one of the events in AOR Music in 2019. Related links to "FORTUNE - II - CD Jewelcase"
Customer evaluation for "FORTUNE - II - CD Jewelcase"